by Andy Higgs in Europe, Features, Germany, Home. Ah, summer in Berlin. After the biting winds and bitter cold of the winter and the short but welcome spring, the city is transformed and it’s time to get out and take advantage of the warm weather. There’s plenty of open spaces. Don’t they bang on about it being the greenest capital city in the world? A cut above the hip but dishevelled bars of the now-trendy parts of East Berlin, this beer garden and restaurant right on the lake brings to mind the rather classier establishments of Munich. 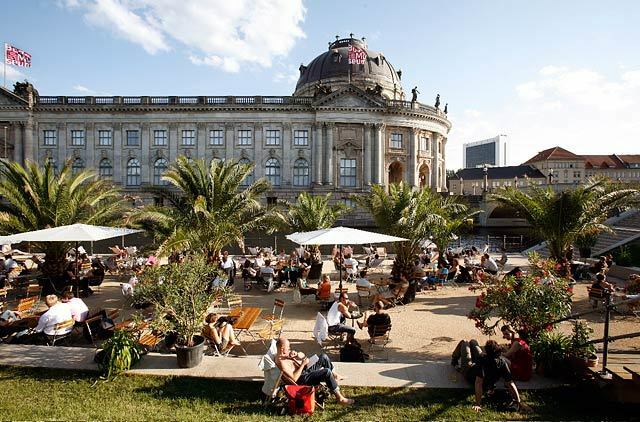 Probably one of the city’s best places for eating outside, the menu of Bavarian specialities and refreshing beer are priced accordingly but this is one of your best options for a splurge on a sunny day. Be warned that the seats appear to be charged with some kind of magnetic force – at least I’m assuming that’s what makes the place so darned hard to leave. When I lived in the city in the early 1990s the closest thing to an urban beach was a really bizarre bar in Wilmersdorf with sand all over the floor. Indoors. 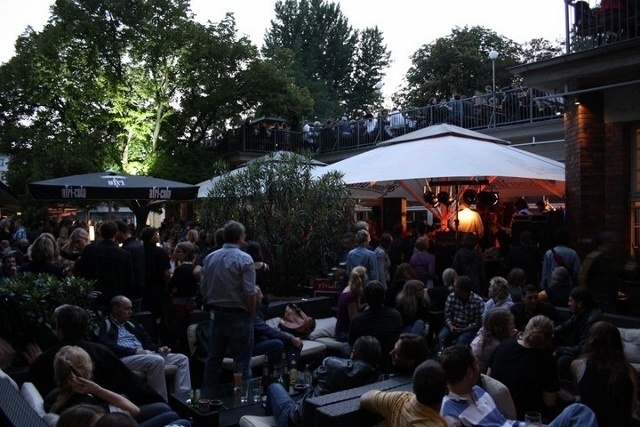 These days the city does it properly, and Strandbar Mitte was the first of these places in Berlin, opening for business in 2002. More laid back that the BundesPressStrand further up the river, it has a relaxed atmosphere and is popular with twenty-somethings, but even oldies like myself are welcomed. They manage to squeeze in a surprising number of sun-loungers and a volleyball net into a relatively small space and the grassy areas mop up the overspill. During the DDR era East Berliners had no reason to envy the Westies for having the Wannsee and Schlactensee on their half of the map. They had the largest lake in the city, measuring some 4.5 x 2.5 km – the Müggelsee. A place to swim, paddle, hike and sail, these days the lake is one of the most popular places to spend a warm day for all Berliners. 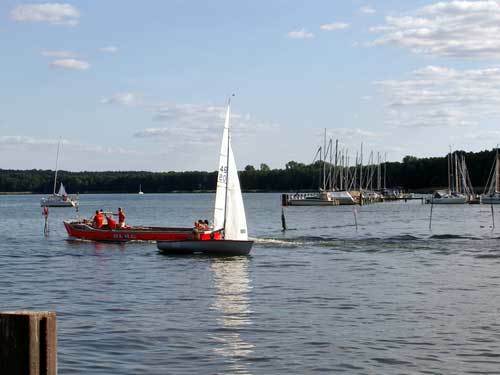 There are three big official swimming areas on its shore: the lake resort of Friedrichshagen, Müggelsee Strandbad with its FKK beach next door – that’s a nudist beach to you and me – and the beach at Kleiner Müggelsee. You can rent pretty much everything from a canoe to a motorboat at locations all around the lake and if you are so inclined visit the waterworks museum which explains the history of the facility which has provided Berlin with water since 1893. If you get hooked, buy yourself some quality sailing gear and your new hobby will soon become a passion. On the far side of the lake to the south-east, is the idyllic fishing town of Rahnsdorf, with Berlin’s only human-powered ferry. You can buy fish from the Müggelsee’s last fisherman here too. Two beer gardens in one article? Come on, this is Germany here. And they are very different places too. GOLGATHA (their insistence on capital letters, not mine) is a Kreuzberg institution from the old divided city days, and you can drink your way through a balmy Berlin summer night until the sun comes up over the Viktoriapark. With plenty of space you can choose from a spot under one of the umbrellas by the grill and table football or if you want to work on that tan the rooftop is the place to be. A DJ is usually on hand to spin some discs (or whatever they do in this digital age) from around 10 pm if you want to go inside and shake your cakes on the small dance floor. Not really a place for a quick pint, and best not to have too many plans afterwards. 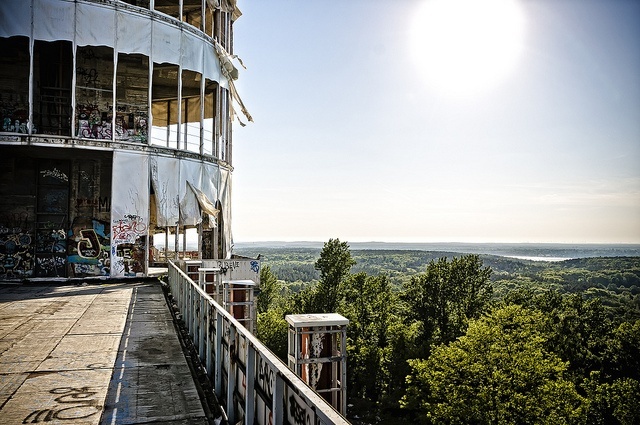 Make sure you visit GOLGATHA if you are in Berlin in the summer. Have you tried any of these suggestions? 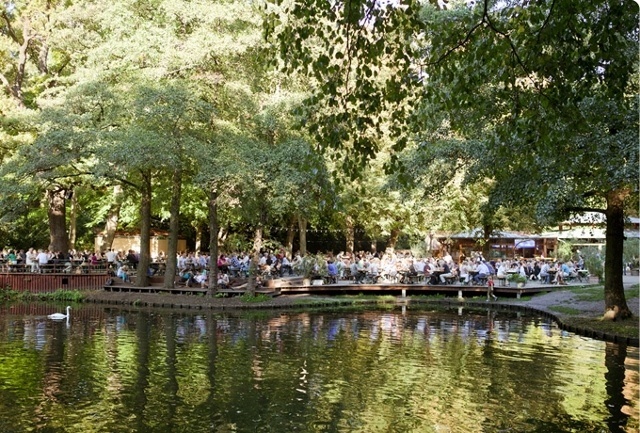 Do you have other ideas for outdoor activities in Berlin? Do let us know by adding a comment below and don’t forget to sign up for email updates so that you never miss an article on Grown-up Travel Guide!